Sikh and Hindu Afghans gratefully welcome a better quality of life after years of extremist-led turmoil. JALALABAD, Afghanistan – Government and coalition actions to restore peace and stability to Afghanistan have improved the quality of life for minorities who endured violence and discrimination by the Taliban and other extremist groups, residents and officials said. And residents and officials predict that life will continue to return to normal as the administration continues the restorative course. 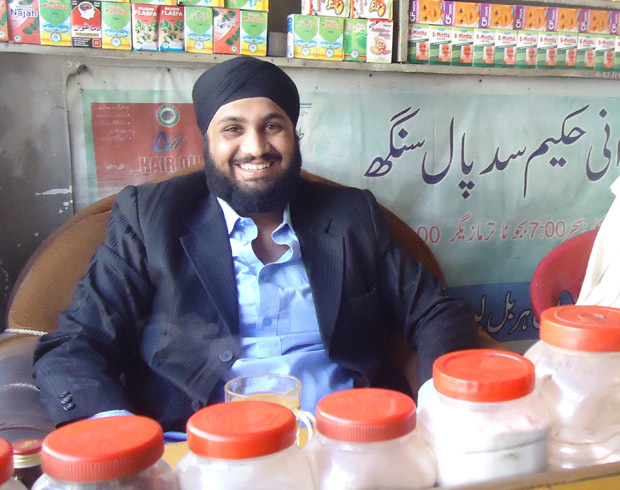 “We are confident in the Afghan security forces’ capabilities for defending the country from any aggression,” said Iqbal Singh, a young Jalalabad Sikh shopkeeper selling herbal medicines and perfumes near a Sikh temple. In contrast to the days of the Taliban reign of terror in Afghanistan (1996-2001), minorities are now fully enjoying religious and economic freedom. Cases of high-handedness with members of minorities have been reported across the country during the past decade, Amir Khan, a member of the Afghan parliament, said. “These reports are insignificant,” he said. And they have prompted the government to respond, he said. “For us (parliamentarians) and the government, Sikhs, Hindus and Christians are just like other Afghan Muslims … even our constitution guarantees all rights to the minorities,” Amir told Central Asia Online. In addition to providing security, the government is ready to listen and resolve the problems of minorities, Singh said in support of the change. “Not only have their religion and Afghan culture been preserved, but the conditions have ensured protection of minorities’ lives and property,” Haji Din Muhammad, a tribal elder and former governor of Kabul, told Central Asia Online. Afghanistan formerly had sizable Sikh and Hindu communities, particularly in the east, but many of them migrated to Pakistan and elsewhere because of instability in the country during recent years, Singh told Central Asia Online. A 2010 UN High Commissioner for Refugees (UNCHR) report indicates that about 50,000 Hindus and Sikhs lived in Afghanistan in 2000, but most left in the first decade of the century, with only about 1,000 Sikhs remaining, mostly in Jalalabad. “And my guess is there would be hardly 500 to 600 [Hindu and Sikh] families remaining in Kabul and other cities,” Sardar Singh, a Sikh shopkeeper, told Central Asia Online as he waited for customers. As the quality of life returns, some predict that more of the minorities who left the country will come back, a trend that is already visible. Of those minorities interviewed for this story, most spoke well of the improved security situation and said that they feel safe today in Afghanistan, but a few acknowledged an undercurrent of concern. Sardar Singh said he feels no tension between minorities and local Muslims. Still, if the peace and stability prevail, Pervez predicted they would be good for minorities and for Afghans in general. “Those who are back are quite happy in their own homes now, and it is sending a good message abroad,” he said.